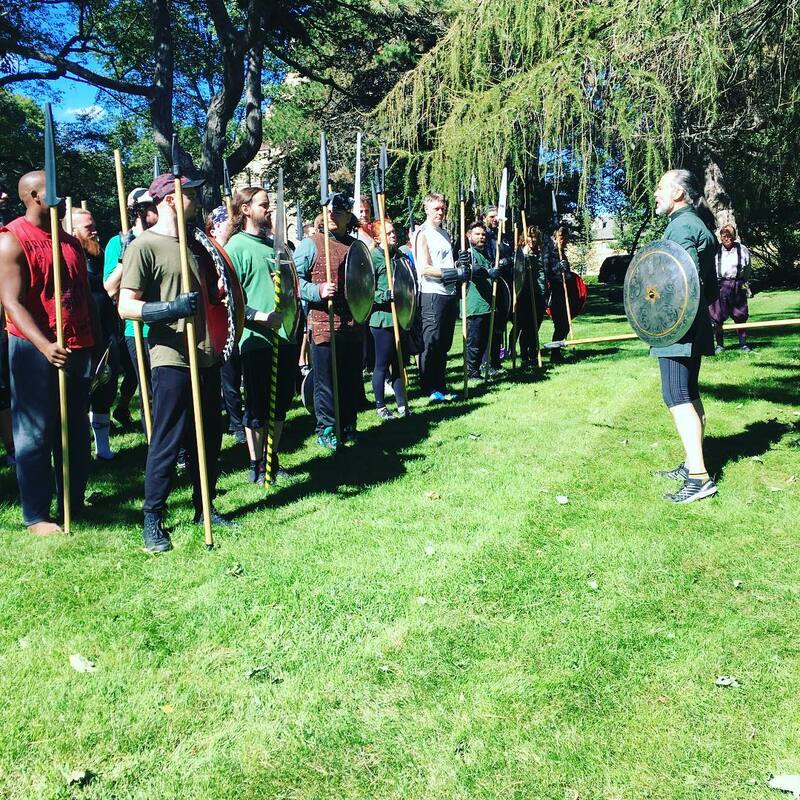 This past weekend (9/17 – 9/23/2018) was the latest “off-year” or “WMAW lite event” – the theme-focused event we hold with attendance no larger than those we can sleep at the Dekoven Foundation, the beautiful neo-gothic retreat center that has been home to the Western Martial Arts Workshop since 2005. This year’s event was L’Arte delle Armi, or a Night at the Opera Nova, an event entirely dedicated to the Bolognese tradition of the 16th century, and featured an international staff of instructors — Devon Boorman, Academie Duello (Canada), Christian Cameron, Hoplologia (Canada), Ken Harding, St. Louis School of Arms (USA), Greg Mele and Rob Rutherfoord, Chicago Swordplay Guild (USA), and Jacopo Penso and Moreno dei Ricci, Opera Nova (Italy) – with lessons derived from all of the major Bolognese masters-at-arms. Classes also covered the entire breadth of the tradition, from spada solo to two-handed sword, dagger vs. dagger to partisan and rotella. Christian Cameron addressing the troops in “Spear of Heroes, Part II: Partisan and Rotella,” which looked first at the classical Greek use of spear and shield and how that was re-imagined by Renaissance Italians. Of the various ‘schools’ of European martial arts, none has a curriculum as diverse as the Bolognese. 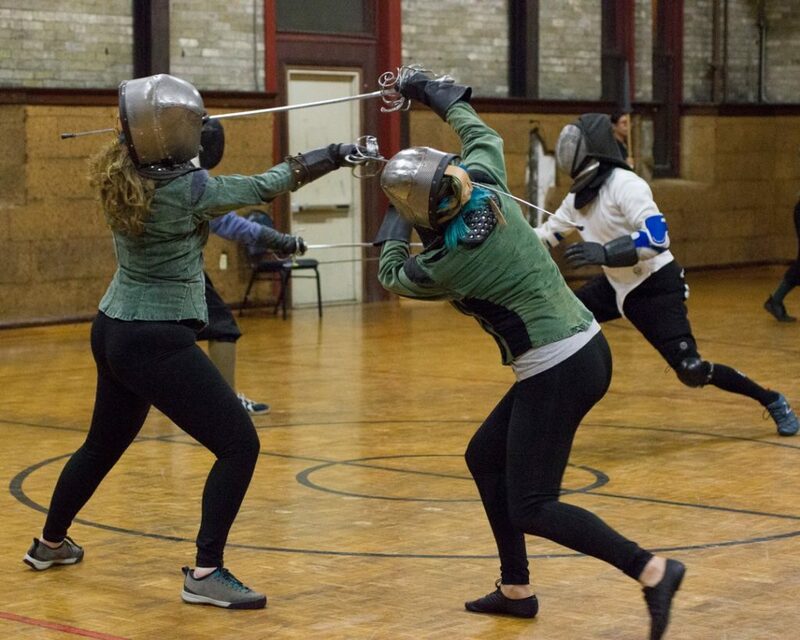 Often, modern practitioners just focus on sword and sword and buckler, treating the tradition as the antecedent of rapier fencing (it was) and the first “civilian, dueling tradition” (it isn’t), but in reality, the masters of this tradition taught the full complement of knightly weapons: one and two-handed sword, spear, poleaxe, dagger, along with every martial and civilian companion arm that can be included with the sword — bucklers, cloaks, daggers, gauntlets — and a variety of polearms associated with infantry soldiers, such as halberds and bills. It is a deep, rich tradition, and I am happy to say that it was represented as such during the event. 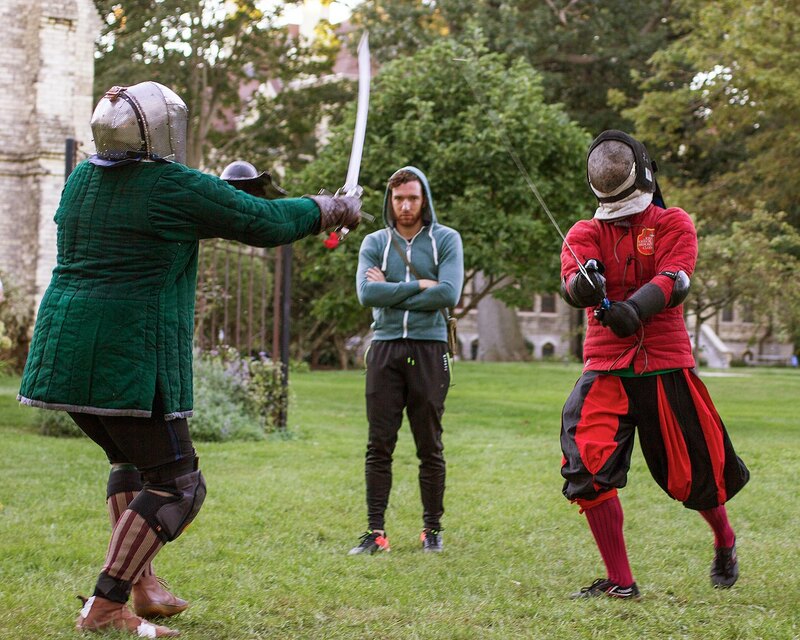 CSG’s Rob Rutherfoord showed the technical precision of the art in his Imbroccata class, and its “quirky” side in his final class on sword and gauntlet. Ken Harding, taught Marozzo’s spada solo, which is far more dynamic and aggressive than the more conservative “narrow play” of Manciolino and Dall’Aggochie. Marozzo was also particularly well represented in over six hours of instruction on the spada a dui mani (“two handed sword”). Originally, Maestro Roberto Gotti, who is the world’s foremost authority on Marozzo and his use of this weapon, was going to attend the event, but work intervened, so two of his senior students — Jacopo Penso and Moreno dei Ricci — attended in his place. I do not think anyone felt cheated as the guys presented two amazing workshops that really brought the power and elegance of this weapon to life. Two-Sword Demonstration — Devon Boorman (with Matheus Olmedo). I taught a class on two-handed use of partisan, which was great fun, and for my money, is the most elegant polearm of all. But perhaps one of the most unusual, and well-received, classes, was Christian Cameron’s partisan and rotella class. This weapon combination was taught by Marozzo and Manciolino, and is recorded in 15th c judicial duels. It seems to have been a conscious effort by Italian fencers, influenced by the Humanist fascination with antiquity, to fight in a fashion they imagined would have been used by Achilles and Hector. 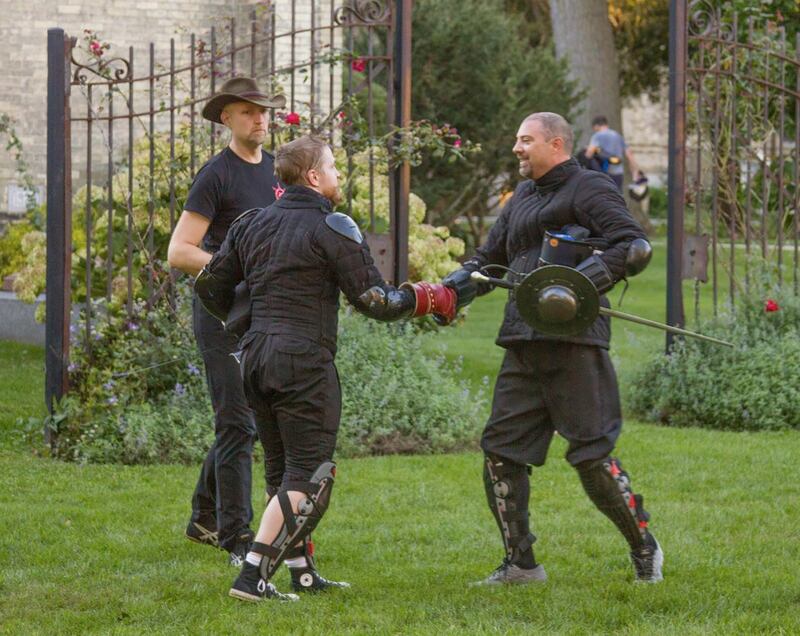 In essence, it is a reconstructed martial art — 16th century style! Christian, who is a renowned researcher in Ancient Greek fighting arts made a point of showing how Marozzo’s play corresponds to their own reconstruction from vase art. It was a fascinating demonstration, and many people loved playing hoplite — so many that we now have some interesting ideas about an “Oplomachia” track (a “School of the Soldier”) for WMAW. I won’t say more now, besides, anyone know where we can get a few dozen pikes? The full event schedule is here. Hey, who let the rapierists in? Each night after dinner, we opened the gym to two hours of free-fighting that saw probably thirty or so people trying their hand at what they had learned that day. While most fighters wielded sword alone, sword and buckler or two-handed sword, a surprising number of folks decided to try their hand at partisan, and partisan and rotella…and to our horror, a few rapiers wandered onto the floor. We don’t hold tournaments at WMAW, but we usually do some sort of low-key, friendly competition at the off-year event, and this year no exception: a three round tournament that included both judged and self-judged components, with a rule-set derived from the hints provided in Manciolino (1531) and the Anonimo Bolognese (c.1550). Rounds One & Two were a martial meet-and-greet: find a partner, call your hits and report to the Recorder of Deeds. The cleaner you fight, the more you fight; the more you fight, the better your chance to advance! We have used this format at two previous “off year” events: You challenge someone to combat, each with your agreed upon weapons, and report your score to the Recorder of Deeds. Each round is 45 minutes long, so the more fights you get, the better your chances to advance! After being hit, you have the time of one pass to strike back one blow at your opponent in order to redeem your honor. There were two ways to advance to the final round of six combatants — by Score or by Accolade. Two combatants shall advance to the finals by acclaim, one chosen by one’s fellows, and the other chosen by the Instructors. All participants in the tournament are given one vote that they may cast for any other combatant other than themselves or an Instructor. The combatant who receives the most votes shall advance to the finals. 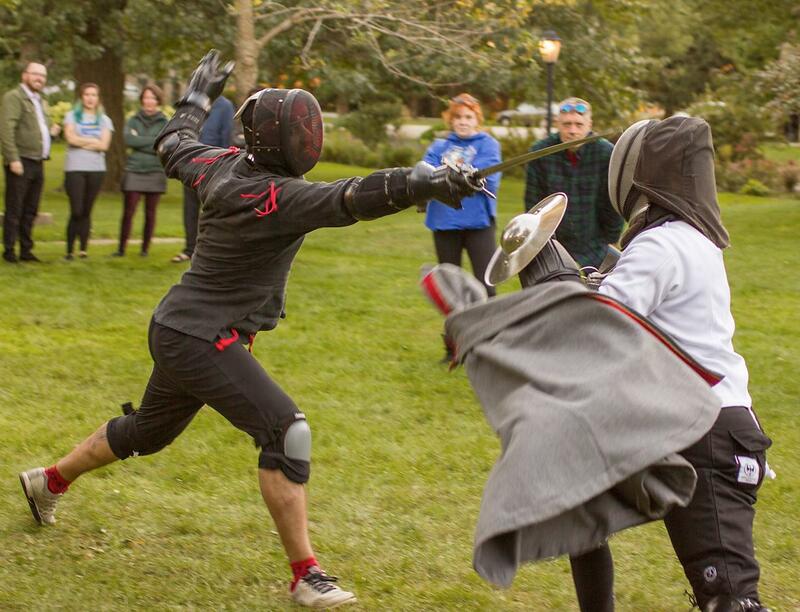 This was close, as there were three fighters all tied in votes, Adam Franti of the Lansing Swordplay Guild edged the competition out to advance. The Instructors shall choose one combatant whom they thought best represented their art and the spirit of the tournament, and this shall make the fourth challenger in the finals. Again, this was close, but the instructors chose Brandon “Ted” Pool of the CSG because of his efforts to maintain a Bolognese form throughout his fencing, his use of correct technique to enter *and* exit the fight, and his low incidence of double-hits. Once the six second round combatants were assembled, they were split into two pools of three, fighting round-robin style under the previous conventions. So what did we think of the Bolognese rules? The concept makes sense: points are weighted to one of the principle targets (the head) and the hardest to hit safely and not be hit (the leg). Thrusts to the body, while lethal, score less well because they aren’t fight ending. 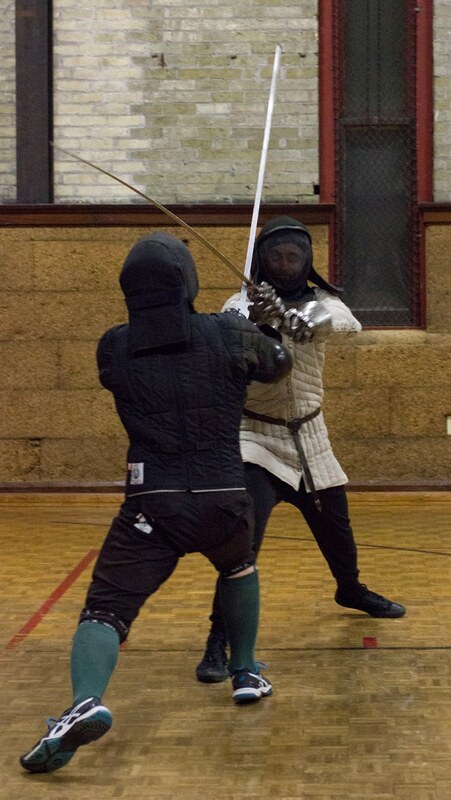 Of course, Manciolino himself says that swordsmen should target the dominant hand and make striking it a priority, yet this is not reflected in his rules (we know why — safety — or at least he alludes to this), and the Bolognese after-blow led to just as messy a set of resolutions as any other after-blow. I addressed the first problem by making sword arm attacks score just as well as leg blows, but overall, with the rules making it less desirable to thrust to torso, and the after-blow increasing the number of double-hits, I am not sure the rules added anything new or interesting. At our closing remarks on Sunday, I asked Devon, Matheus, Jacopo and Moreno to demonstrate several of the traditional assalti of the tradition. The assalti are one of the distinguishing traits of Bolognese swordsmanship — elegant solo-forms which can also be transformed into paired exercises. Arguably, if you don’t study the assalti you are skipping the heart and soul of the tradition. On the other hand, if you do them as some sort of elegant dance without understanding their application, you have nothing more than just that — an elegant dance. Here are the assalti, as filmed by Jess Johnson and Shanee Nisry. I believe they speak for themselves. Hey guys, the event is over…go home. Three years ago, this event could not have happened. There just weren’t enough people involved in Bolognese swordsmanship to fill the hall. When I announced it last year, I still wasn’t sure we could get enough bodies to fill a “Bolognese only” event. As it turned out, with a maximum allowed attendance of 85, we had 79 people — our best off-year showing since we began the event in 2009! A lot of things have led to this change. In 2010 Tom Leoni published a translation of Manciolino’s Opera Nova, making one of the best, and certainly most concise, works of the Bolognese masters available to an Anglophone audience. To this is added Jherek Swanger’s translations of Viggiani, Dall’Aggochie, and most importantly, his new translation on Achille Marozzo. Finally, Stephen Fratus has made his work-in-progress translation of the Anonimo freely available, which means that every text in the tradition is now available in English. The Giovanni Dall’Aggochie Facebook group has become a centerpiece for discussing Bolognese fencing and is unusual for both the high level of signal-to-noise and the cordiality of posters. In short, there is now a small, but thriving community dedicated to his incredible tradition, and I hope this event has only added to its growth. L’Arte delle Armi or a Night at the Opera Nova would not have been possible without the hard work of not only our instructor roster but our staff: John O’Meara, Nicole Allen, Tasha Mele and Marcie Vereline, to whom I am deeply grateful. 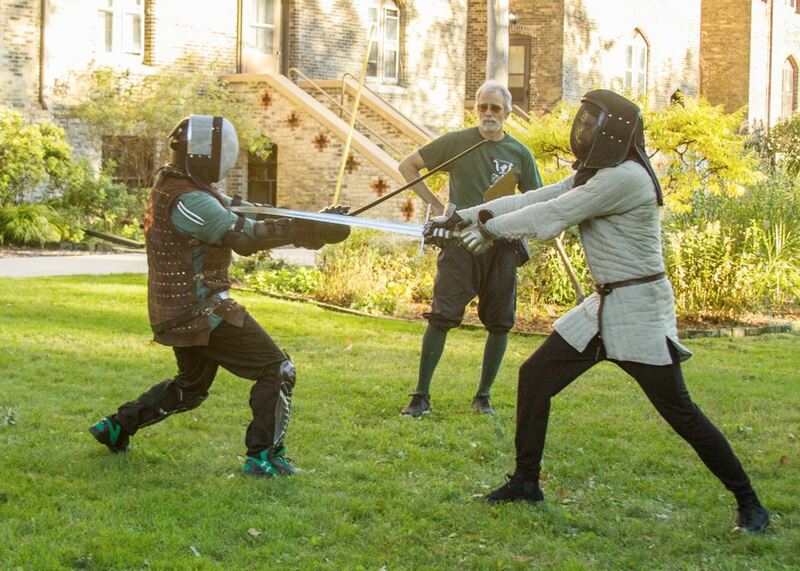 The Chicago Swordplay Guild and the DeKoven Foundation present an event celebrating one of the great fencing traditions of Renaissance Italy! Located at the picturesque DeKoven Center, home to the Western Martial Arts Workshop, the conference is a retreat with attendance limited to the 70 students that DeKoven can host. Your registration fee includes ALL classes, meals and lodging onsite at the beautiful DeKoeven campus. This is a unique event and a unique opportunity to train in a private environment with some of the finest modern teachers of the Art of Defense. Act now, because attendance is limited to the 70 folks we can house on site, paces will go fast. We look forward to crossing swords with you! Classes will include spada solo (sword alone), spada e brocchiero (sword & buckler), spada e rotella (sword & shield), spada a due mani (two-handed sword), prese contra daga (dagger defenses), polearms and more! A full schedule of the event is available: Arte dell Armi Schedule. Italian Arms & Armour of il Cinquacento (XVIth Century), by Dr. Jonathon Tavares of the Art Institute of Chicago. 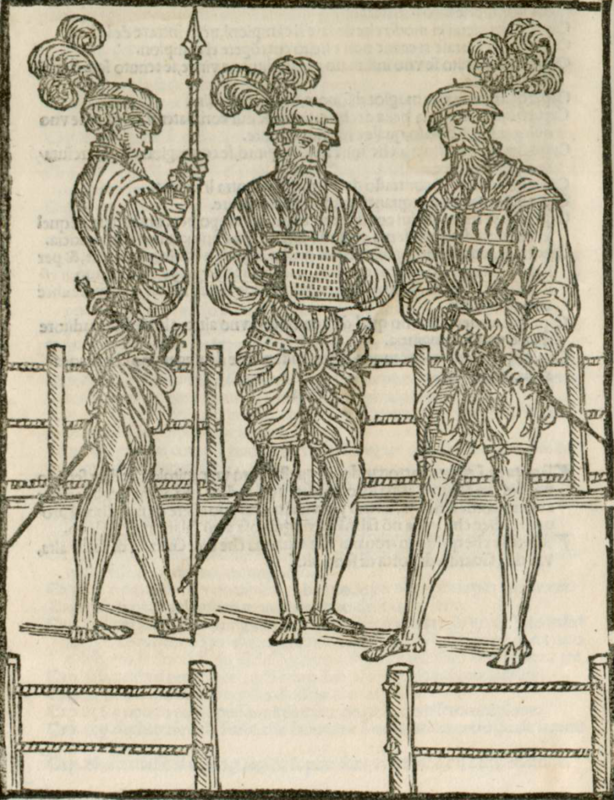 A Contest-of-Arms with Sword, Rapier and their trusted companions: the Buckler and Dagger, derived in part from the competition outline by Antonio Manciolino (1531). A Contest of Arms with sword, rapier and their trusted companions, the buckler and dagger. On campus; all rooms have two single beds. You will be able to request the roommate of your choice when you register, and we will make every effort to accommodate you. Lodging is from Thurs to Sat. This past weekend the Guild was an invited performer at the Chicago Comic and Entertainment Expo or C2E2. 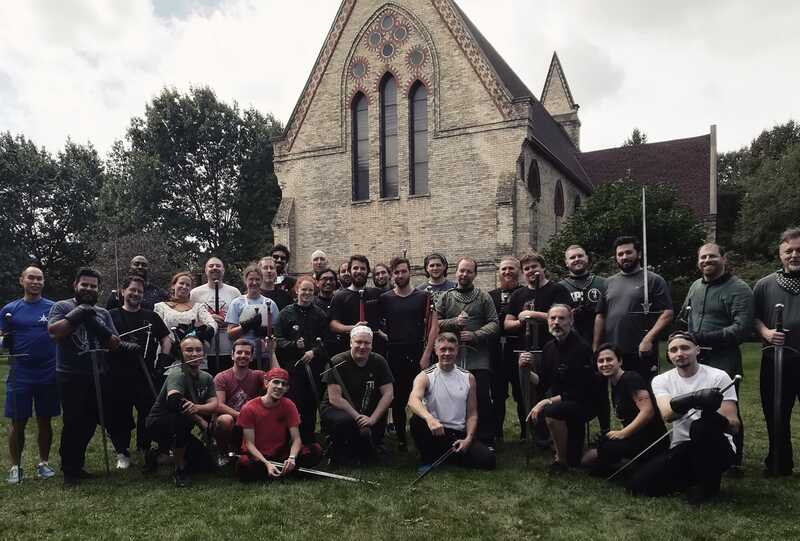 During a one-hour demo we demonstrated longsword, dagger, armoured combat and sword and buckler, followed by Q&A and then a 45 minute lesson for interested attendees. A clip of armoured combat featuring Jesse and Nicole, including Jesse’s tumbling in harness routine! All in all it was a fantastic experience and we are looking forward to next year! three day event in honor of Maestro Fiore dei Liberi and his Art. In 1410, Fiore dei Liberi, an aging condottiero and master-at-arms to some of Italy’s most renowned warriors, presented a book to the bellicose Niccolò III d’Este, Marchese of Ferrara (1383-1441) containing the sum of four decades of knowledge won in the training hall, siege, battle and five duels with rival masters. He named this work Il Fior di Battaglia, the Flower of Battle, composed so that the “art might not be forgotten”. Six hundred years later, a small circle of martial artists gathered from around the world to prove him right! This event, affectionately called “The 600: Prepare for Fiore!”, was such a success with attendees, that we decided to make it a recurring workshop! Since “The 602? seemed to be missing some flair, the event has been renamed Armizare Academy. Each Academy session will have a central theme, but will also include a renowned instructor from a similar, outside tradition, to help put our art in context. This year’s outside focus will compare Arimzare to the German Kunst des Fechtens of the Liechtenauer tradition. This is something new that two of the Guild’s instructors are developing in conjunction with our friends at R&D Choreography. 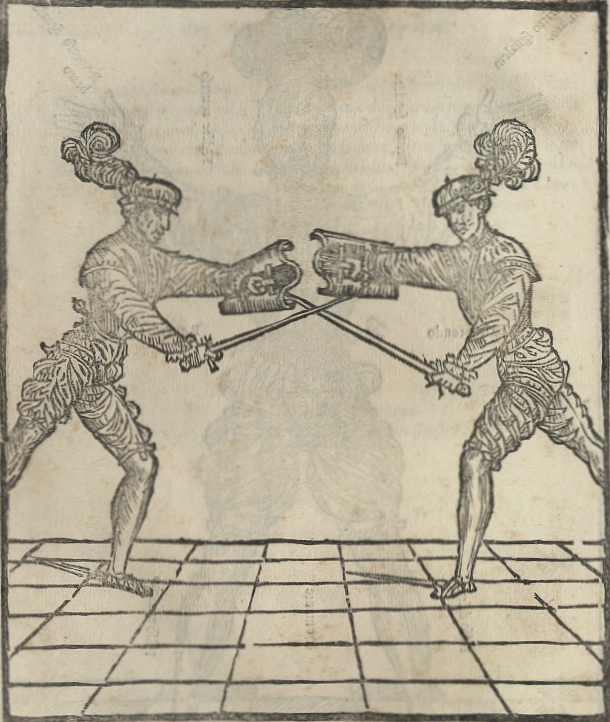 A new look at Elizabethan swordplay and stagecraft, for the fighter, actor, and actor-combatant alike!